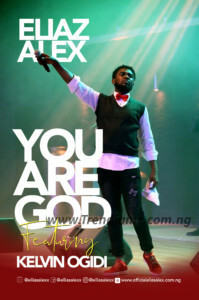 Eliaz Alex is a prolific song writer, producer and arranger. He is a versatile musician and well experienced in the music industry. His career as a musician started 1999. Eliaz Alex is a native of Umu-Aku Ntu, Ngor-Okpala, Imo state, Nigeria. He hails from a family of six. You are God is a song born out of a painful experience and a season I was as at then. So the song takes me way back to where I’ve come from, my life thus far. So for every time I think of my life, I just lift my eyes up and say, “You are God”..